It is the dream of every musician to take the stage with bright lights shining and a crowd of thousands going wild. For LeBow senior Zhane Littlepage, this dream became a reality when she opened for top rappers Wiz Khalifa and Lil Wayne at Drexel’s Fall Fest concert in October. While the show was her biggest performance since she began writing poetry and music at 10 years old, it is the release of her first album and her future making music that has Zhane most excited. Zhane first began working on the album, writing all the lyrics, while studying abroad in London and Paris in the summer of 2014. But it was a move to California for co-op that made her album a reality. She secured two three-month internships that had her working with two different Philadelphia natives. She began at Will Smith’s film company, Overbrook Productions, and then Troy Carter’s artist management company Atom Factory. While there, she not only got to network with top artists but also booked studio time and worked with producers to complete her album. 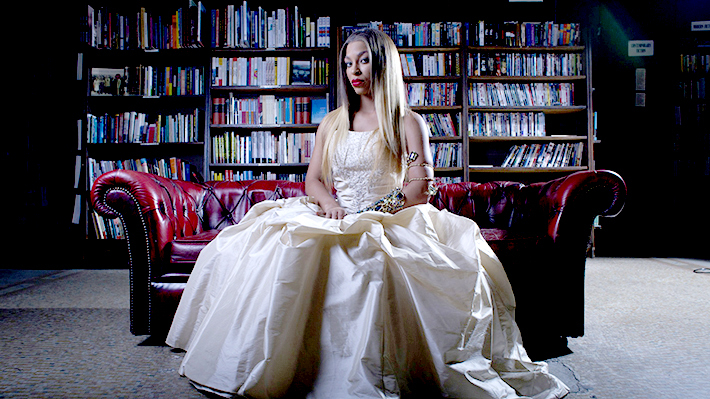 She released her debut album titled The Loudest Library under the stage name Zhane Nichele in March 2015. She offers it for free download on her website zhanenichele.com. It was Zhane’s time on co-op in California that helped her define her goals after Drexel. She plans to move back to Los Angeles to pursue her music career when she completes her degree in Marketing and Entrepreneurship in June. Born in Philadelphia and raised in New Jersey, Zhane knew she wanted to go to college in Philadelphia after attending boarding school in North Carolina for three years. She also acknowledges her work inside the classroom during her four years at Drexel as contributing to her success in music. She found her classes both practical and enjoyable. Besides classes and co-op, Zhane credits the LeBow BRIDGE program as making her Drexel experience so impactful. The BRIDGE program is where she developed her strongest friendships, found support, engaged in community service and learned the skill of mentoring others, all of which she hopes to utilize in pursuing social entrepreneurship. After securing her music career, she hopes to start a nonprofit organization that focuses on mentoring and tutoring inner city youth as well as a creative arts center. Whether it is her music, her engagement in the community or her work in the classroom, she values being herself and taking inspiration from those around her. Deanna Byrne ‘92, the first female managing partner of PwC’s Philadelphia office, has spent 30 years at the company, and the past 15 as a partner.